Benvenuti! Assisi welcomes the JSerra Catholic High School Choirs in April 2018 on their iNCANTATO CANTIAMO experience. The JSerra Chamber Singers and Jserra Advanced Women’s Ensemble from California (USA) will be singing twice on Friday, April 6: at the iconic Basilica of Saint Francis and the lesser known Basilica of Santa Maria Maggiore. 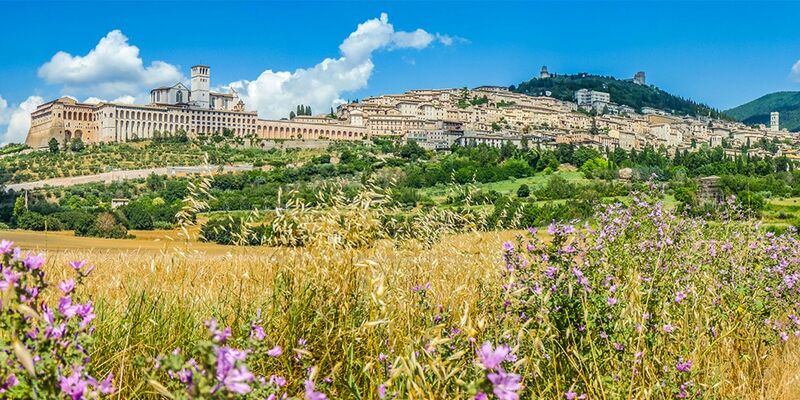 Assisi iN Umbria, Italy is one of those magical destinations that is best experienced by staying overnight. What’s better than one day in this stunning UNESCO world heritage city? Two and surely three days! After starting their performance tour off in the Eternal City of Rome and participating in the Papal Audience at the Vatican, the travelers from JSerra Catholic High School Choral Music make Umbria their home away from home. The iNCANTATO highlight concert at Santa Maria Maggiore iN Assisi is a collaboration with the renowned Musica dal Mondo International Festival and the second festival highlight performance for JSerra. JSerra Catholic is the featured guest choir for Mass at Basilica di San Francesco on Friday, April 6 at 6 pm. The concert time for the festival performance at Santa Maria Maggiore Assisi is at 8 pm. Entrance is free. This iNCANTATO highlight concert is part of the Musica dal Mondo Festival.